As Apple makes plans on celebrating the 10th anniversary of the iPhone this year and launching the new iPhone 8 at the press event September 12th, consumers should start to brace themselves for some massive sticker shock! The iPhone 8 is rumored by “many analysts with close access to Apple insiders” to set yet another magical bar over it’s predecessor the iPhone 7. 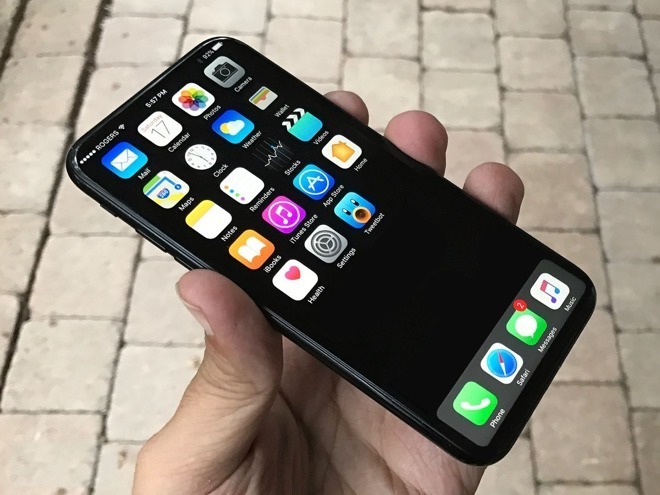 Magical “almost” bezel to bezel screen, facial recognition device unlocking and induction charging capabilities could price this new iPhone 8 out of the realm of possibility for some and out of the realm of common sense for others. Now don’t worry about Apple, there will be plenty of people with discretionary and simply must have the latest tech regardless of financial impact and other “iSheep” as they have been coined throughout the years that simply will get one regardless of price. Could Apple be banking that people using programs similar to the AT&T Next Plan will simply finance the purchase price into their plan without caring? I mean who is going to miss another $10-20 a month right? You will have a brand spanking new iPhone 8! Apple is also rumored to launch mid grade devices that are similar to the iPhone 7 in appearance but have upgraded internals but that’s not what anyone “really” wants is it? Once you have taken the plunge into purchasing a new phone and paying the going rate of iPhone 7 starting at $649 and the while the iPhone 7 Plus starts at $769 why would you stop there and not go for the gusto with a shiny new iPhone 8 with all the whistles and bells? You will be the life of the party, popular with the girls and probably voted to be the coolest kid on your block. But how much is too much for you? Is a cool $1000.00 too much to pay for a device that will last you 1 year or maybe 2? Let us know if the comments.